Events — Columbia Financial Advisors, Inc.
Join CFAI principal, Donny Springer, ASA, at The ESOP Association's 42nd National Conference in Washington, D.C., May 22nd - 24th, 2019. Second-stage ESOP transactions present a number of unique issues: pricing and fairness issues to current ESOP participants and non-ESOP shareholders; dilutive impact of the second leveraged purchase; price protection (floor price); benefit allocation and repurchase analysis; and loan consolidation. CFAI Principal & Shareholder, Donny Springer, ASA, will present as part of the “Beyond the Basics” breakout sessions track. The structure of ESOPs are constantly evolving and changing. Join a panel of ESOP experts who will share with you the latest trends impacting ESOP companies throughout the lifecycle of an ESOP—including the use of warrants, other forms of capital to finance mature ESOPs, and trends in ESOP terminations. CFAI Seattle Office Director, Principal & Shareholder, Nic Staloch, ASA, and Senior Associate & Shareholder, Robert Regis, ASA, will also be attending the conference. We at Columbia think highly of the programs offered by the Beyster Institute and wanted to spread the word on an upcoming opportunity! The Beyster Institute is offering it’s in-person training program for internal ESOP fiduciaries next month in San Diego, California. The intensive educational program is designed for anyone who is not a professional fiduciary yet who is acting as, or considering acting as, an ESOP trustee or fiduciary committee member. After a final review and proof of mastery exam, each student will receive a certificate issued by the University of California San Diego, Rady School of Management attesting to their mastery of the concepts and skills necessary to serve as a non-professional fiduciary. For more information about this and similar programs visit the Beyster Institute events website or view the program flyer. Arlene Ashcraft, Donny Springer and Nic Staloch of Columbia Financial Advisors, Inc. are attending the 2019 ESOP Professionals' Forum in New Orleans, LA. Columbia Financial Advisors, Inc. is a proud sponsor of this event. Your ESOP: Who Does What? This introductory session will provide a basic explanation of ESOPs and how they work. Intended mostly for employee owners in established ESOP companies – but also potentially of interest to those considering an ESOP for their company. This session will describe how ESOPs are structured, how they operate, who runs the company, the roles and responsibilities of all the parties involved (trustees, valuators, administrators, board members, managers) and how to create the “ownership culture” that is so essential in tapping the great motivational potential of employee ownership. Value is an opinion and not a fact. It is in the eye of the beholder – or investor. Opinions about what is considered “valuable” change over time and vary in different cultures. As we know, the pace of change in the world is accelerating. What economic, technological, political and/or social (or other) conditions have changed in a manner that causes us humans to assign great value to an asset one year and little the next? What changes might be currently unfolding that will affect our perceptions of value in the future? Has the trend to globalization changed the value of some assets? Culture or Performance: What Comes First? Webinar: What’s New and Notable with ESOP Valuations? What’s New and Notable with ESOP Valuations? Thursday, July 18, 2017: 10AM - 12PM pacific | 1PM - 3PM eastern. Following the “great recession” we saw an extraordinary level of deal-related ERISA litigation. This webinar will dive deep into several issues such as control premiums in stock purchase transactions, reliance on management projections, and consideration of the ESOP repurchase liability. The presenters will discuss new and notable advanced valuation issues in this field. For more information visit the ASA's course website. May 11th - 12th - Washington, D.C.
Join CFAI senior staff, Arlene Ashcraft, CFA, ASA, Donny Springer, ASA, and Robert Regis, ASA, at the ESOP Association's- 40th Annual Conference in Washington, D.C., May 11th - 12th, 2017. The session will be led by experienced ESOP valuation professionals and will address the determination of value of company stock held by the ESOP. Topics covered will include an overview of commonly used valuation methods as well as several ESOP-related valuation nuances including standard and premise of value, premiums and discounts, synthetic equity, treatment of tax shields and seller notes. Company Management, ESOP Trustees, Financial Advisors and ESOP Administrators are all involved in the annual ESOP valuation process. In this session experienced professionals will walk through the roles, responsibilities and flow of the annual valuation process. Columbia Financial Advisors, Inc. is pleased to sponsor the 2017 NCEO Employee Ownership Conference! Donny Springer, ASA of Columbia Financial Advisors, Inc. will be speaking at this event. We hope to see you there! Wednesday, April 5th at 3:15pm, Donny Springer will be speaking in the following presentation: "Tips for Communicating Share Value and Helping Prepare Employees for Retirement"
As the nation's premiere gathering on employee ownership, the NCEO's annual conference provides an ideal opportunity to learn, network, and share your knowledge with others. The 2017 conference in Denver will build on the sold-out success of the 2016 Minneapolis conference, where over 1,660 members of the employee ownership community attended. Arlene Ashcraft of Columbia Financial Advisors, Inc. will be attending the 2017 ESOP Professionals' Forum in New Orleans, LA. Arlene Ashcraft and Donny Springer of Columbia Financial Advisors, Inc. will be speaking at the 2016 ESOP Las Vegas Conference & Trade Show. Kathryn F. Aschwald will also be attending. We hope to see you there! Projecting company financial results is a difficult, but necessary undertaking. Management’s financial projections are a key input into the analyses underlying ESOP fairness opinions and annual appraisal reports. Furthermore, the DOL Process Agreement highlighted the importance of thoroughly evaluating management’s financial projections. This advanced valuation topic will review methods and procedures that fiduciaries and valuation professionals can use to evaluate the reasonableness of projections as part of the valuation process. ESOP companies do not always perform well. Economic downturns, excessive leverage, industry dynamics, management turnover and the competitive environment all can contribute to disappointing operating and financial results. While there is no magic pill to solve these performance issues, there are relevant actions that can be taken. This advanced session will explore a number of strategies that ESOP companies may consider in response to changing financial circumstances. Understanding the Company’s stock price is imperative to thriving ownership culture. Donny will guide discussion addressing common misconceptions about stock valuation and tips for increasing employee engagement in the process. 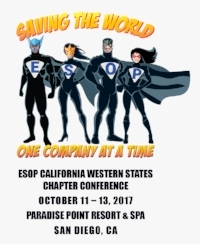 Join CFAI Principal Donny Springer, ASA, at the 2016 California/Western States (CAWS) Chapter Conference: Winning with ESOPs! Columbia Financial Advisors, Inc. is a proud sponsor of the meeting, which offers networking and educational opportunities for employee owners of all experience levels. Due to popular demand, the CAWS chapter of the ESOP Association decided to “double down” at this year’s conference and offer two full tracks of sessions devoted to sharing the ESOP message alongside a range of breakout sessions addressing basic and expanded ESOP issues. Meet staff from Columbia Financial Advisors, Inc. and representatives from over 30 West Coast and Pacific Northwest businesses, including finance, investment and educational institutions at the inaugural regional Finance Expo 2016. 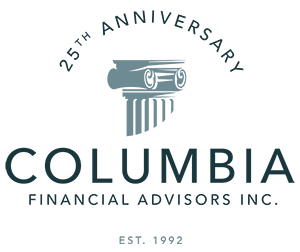 This CFA Society of Portland Event is free-of-charge and includes keynote presentations, panels, workshops and the chance to network with peers and leaders in the finance industry. For further information about the schedule and registration, visit the link below. Arlene Ashcraft, CFA, ASA, Principal | Columbia Financial Advisors, Inc.
(2) discuss common flaws in business valuation reports submitted for accreditation. The American Society of Appraisers will be offering a live simulcast from the ASA Advanced Business Valuation Conference 2016 for those unable to attend. For more information, please visit the BV Conference website, or contact Lisa Perry, CMP, lisa@meetingcreations.net, (850) 566-0021. Join presenter, Donny Springer, ASA of CFAI, in the upcoming National Center for Employee Ownership (NCEO) webinar, "Communicating Valuation - Tools, Tips and Examples." We will talk about tools and techniques to communicate effectively about valuation in your own company, including actual examples of ways that some companies communicate about valuation to your work force. This session is appropriate for people who will be doing their company's internal valuation communication. For more information about how to attend and continuing education credit, contact NCEO Seminar/Webinar Director, Colleen Kearney at CKearney@nceo.org. Join presenter, Arlene Ashcraft, CFA, ASA of CFAI, in the upcoming National Center for Employee Ownership (NCEO) webinar, "Valuation Basics." Determining the value of ESOP shares requires complicated, regulated analysis, but everyone connected with the ESOP needs to know the basics. This Webinar is designed to serve either as an overview for people who just want to understand the key concepts of ESOP valuation, or as a foundation on which to learn more advanced valuation topics. We assume that participants have a knowledge of financial statements, but no familiarity with valuation. Meet with Donny Springer, ASA, and Ben Matheny, to learn more about CFAI's gift and estate, marital dissolution and other valuation services at the Oregon State Bar Solo and Small Firm Section’s first multi-day CLE conference, Tools for Building a Successful Practice. "Nationally-recognized experts on legal technology and the business of law will give informative and entertaining presentations and will be available for one-on-one advice during breaks. Prominent local and regional attorneys will round out the schedule with presentations on everything from ethics to tips on how to litigate against the big firms without busting the bank. With five general presentations, eight breakout sessions, and a lively exhibitor’s hall, there will be plenty of variety. Whether you are just getting started or you already have a successful practice, this conference will help you reach the next level." For more information follow the OSB link below. Join senior staff from Columbia Financial Advisors, Inc. attending the 39th Annual ESOP Conference in Washington, DC. Columbia Financial Advisors, Inc. is pleased to sponsor the 2016 NCEO Employee Ownership Conference! Wednesday, April 13th at 1:30pm, Donny Springer will be speaking in the following presentation: "Herding Cats: Who Does What in an ESOP Transaction." As the nation's premiere gathering on employee ownership, the NCEO's annual conference provides an ideal opportunity to learn, network, and share your knowledge with others. Our 2016 conference in Minneapolis will build on the sold-out success of our 2015 Denver conference, where over 1,400 attendees joined us. We will post additional program information by the end of December. Join CFAI Principal Arlene Ashcraft, CFA, ASA in attending the 2016 Two Day Professional ESOP Forum. The ESOP Association is holding a two day open discussion forum for Professional Members of The ESOP Association. Professional Members of The Association are sellers of services to ESOP plan sponsors and to parties considering creating an ESOP. Examples of the services are legal, third party administration, valuation, finance, management consulting, financial advice, trustee, and similar services. Led by the Chairs of the highly respected Association Advisory Committees on Valuation, Finance, Legislative and Regulatory Affairs, Administration, Ownership Culture and Fiduciary Issues, this two day program will lay bare the tough issues facing ESOP professionals, and present the pros and cons of different views. The goal is not only to air different view-points, but to move towards consensus as to “best practices” by the ESOP service provider community. Arlene Ashcraft and Donny Springer of Columbia Financial Advisors, Inc. will be speaking at this conference. We hope to see you there! Come join us on October 14th for a networking and educational event at Bob's Red Mill. Donny Springer will be speaking at this event and others from our firm will be in attendance. Program is from 8am to 3pm, with breakfast and lunch included. Click here to register. This is an opportunity to meet other ESOPs and tour a great company that really gets the point!